Yen Bai (VNA) – The Vietnam Buddhist Sangha and its Yen Bai chapter held a requiem on August 15 for heroes and martyrs and for the victims of the recent historic flood which claimed the lives of at least 30 people in Yen Bai province and other northern mountainous localities. Vice Chairman of the provincial People’s Committee Duong Van Tien said that the requiem, organised in Tung Lam Ngoc Am pagoda, was a meaningful activity to pay respect to heroes and martyrs who rendered service to the nation. 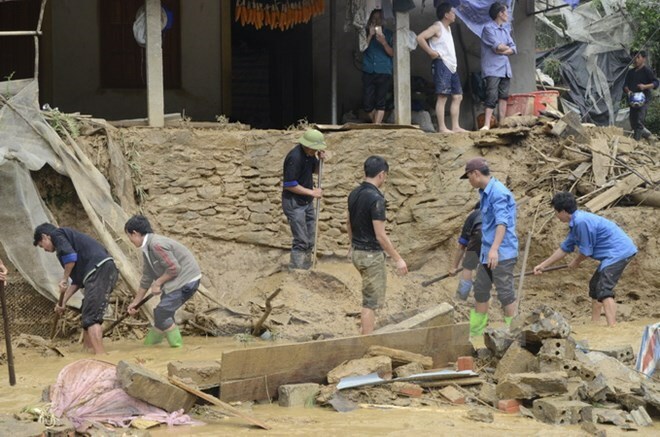 Venerable Thich Thanh Nhieu, Standing Vice President of the Executive Council of the Vietnam Buddhist Sangha said the Council called on monks, nuns and followers nationwide to lend a helping hand to flash flood-hit people in the north immediately after learning about the disasters.